As part of our efforts to inculcate in students the appreciation of and respect for India's rich heritage and diversity, and also to reinforce in them national pride and respect for all, the school celebrates a number of functions including Diwali, Pongal, Holi, Easter, , Raksha Bandhan, Gokulashtami, Independence Day, Ganapathi Pooja and Visarjan, Teachers' Day, Dussehra, Diwali, Eid, Christmas, Makar Sankranti and Republic Day. The Monday Assembly is an integral part of the calendar of activities at the School. On Monday morning, the entire school gathers in the auditorium to recite the school prayer, sing the school song and the National Anthem, and watch a short presentation by . 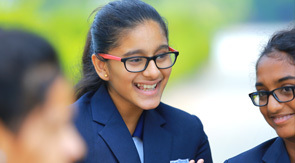 Manchester International School hosts several Special Events throughout the year, each class presents a programme on stage with the theme being either the festival that is being celebrated at that time of the year or any thought-provoking idea that can lend itself to drama, dance or music. "Really I am enjoying my study in Manchester with so many friends those who come from various backgrounds. Being in an International school I have got this opportunity to meet so many overseas friends. Studying at Manchester has helped me to develop appreciation for mathematics and other important subjects, definitely Manchester is unique among the best CBSE schools in Coimbatore."